Description: "The time is the Golden Age during the reign of High King Peter, and the heroes are the Horse Bree, and Shasta, the boy who runs away with him from the cruel country of Calormen. 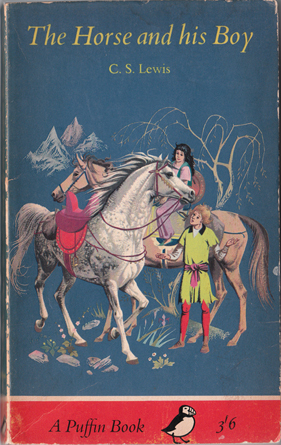 Their shared adventures take them to the city of Tashbaan in disguise (Bree is disguised as a pack horse), where Shasta is mistaken for a truant prince, and on an endless ride by burning day and silvery night over the desert to Narnia, where Shasta discovers his true identity…"
Pictorial covers are worn and notched alone their extremities (refer to image). Light creasing along spine. Internally, the book is in excellent condition for its age: pages are lightly tanned, but remain completely free from foxing or any other marking, and are very tightly bound. A nice copy of a very early printing. Measures 17.5 cm × 11 cm (7″ × 4.4″). 12mo. 188 pp. + 5 pp. 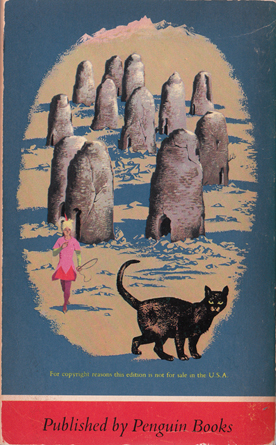 catalogue of other books by the publisher.